The chase is on. It’s time to join in the pursuit of prizes with Mr Green’s latest exciting promotion. This offer rewards winning spins on the games Grim Muerto and Super Flip with points. The more points you collect, the closer you’ll get to landing a top 20 spot on the leaderboard and winning a share of £5,000. The 20 players who win the most prize points on Grim Muerto and Super Flip will come away with some seriously impressive real money rewards from a £5K prize pool. Players earn leaderboard points for landing winning combinations on the selected promotional slots. Both of these great games have bonus rounds, but no leaderboard points can be earned for winning spins during these extra features. Instead, you will scoop up 500 prize points automatically when you trigger the free spins rounds. The promotional period runs from January 30th until February 5th. To get involved and start climbing that leaderboard, all you have to do is sign into Mr Green and play with real money on the two selected slots. Keep on playing and the more winning combination of symbols you come across, the more leaderboard points you’ll collect. There’s no way to know your position until the promotion comes to an on February 6th and the results are revealed. The first game to play in the promotion is the perfectly spooky Grim Muerto by Play ‘n Go. The theme of this five reel, 20 pay line slot is the world famous Day of the Dead celebrations in Mexico. As a result, the reels are filled with bright and bold colours, skulls and mariachi musical instruments. 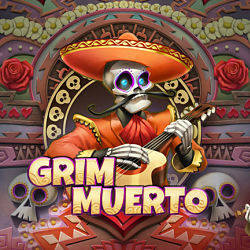 You’ll find some high cash prizes in Grim Muerto, including wins of 2,500X your stake. On top of this, there is a brilliant bonus feature with an unlimited amount of free spins on offer. Super Flip is another five reel, 20 pay line offering from Play ‘n Go. This traditionally designed game is filled with classic fruit machine symbols and can be played from just 20p per spin. 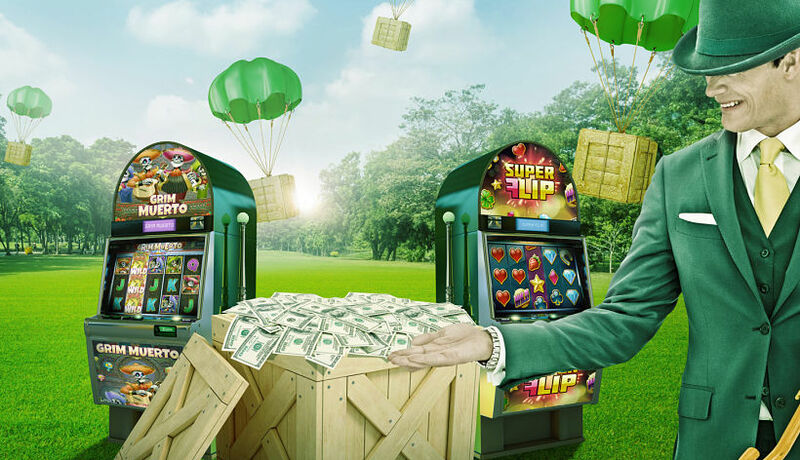 As well as a fast-paced base game with massive amounts of money to be won, there is a whole host of bonus features in Super Flip. Here you can win up to 90 free spins, unlimited re-spins, scatters and wilds. This offer is active and open to all Mr Green customers from January 30th until February 5th. Only gameplay in Grim Muerto and Super Flip during this promotional period will qualify for leaderboard points. Points can only be earned for winning spins made with real money, not bonus funds or free spins, on the two selected slots. The results of the promotion will be made public on February 6th and winners will be contacted by Mr Green Casino staff within 72 hours.